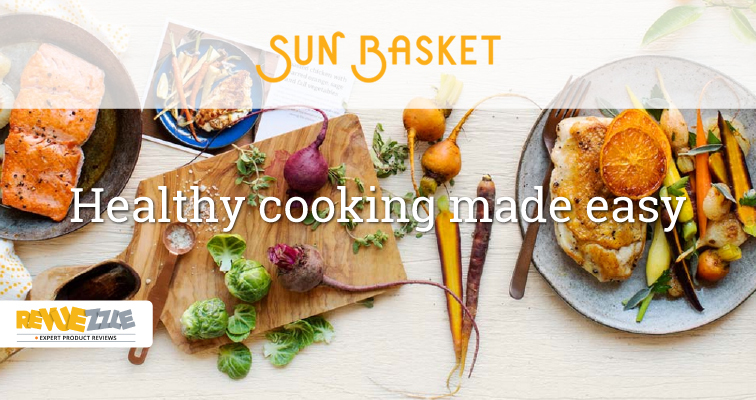 PeachDish, based in Atlanta, GA, offers chef-inspired recipes with ingredients that are sourced directly from hundreds of small-scale Southern farms and food artisans. 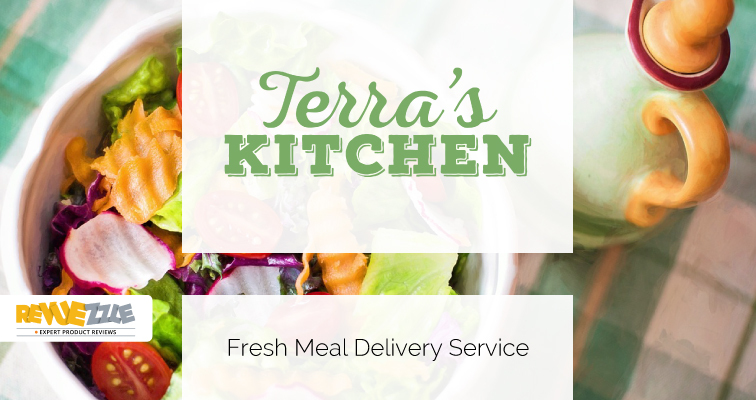 They are all about sourcing fresh ingredients from local farms – their goal is to deliver really wholesome food that makes people feel good! 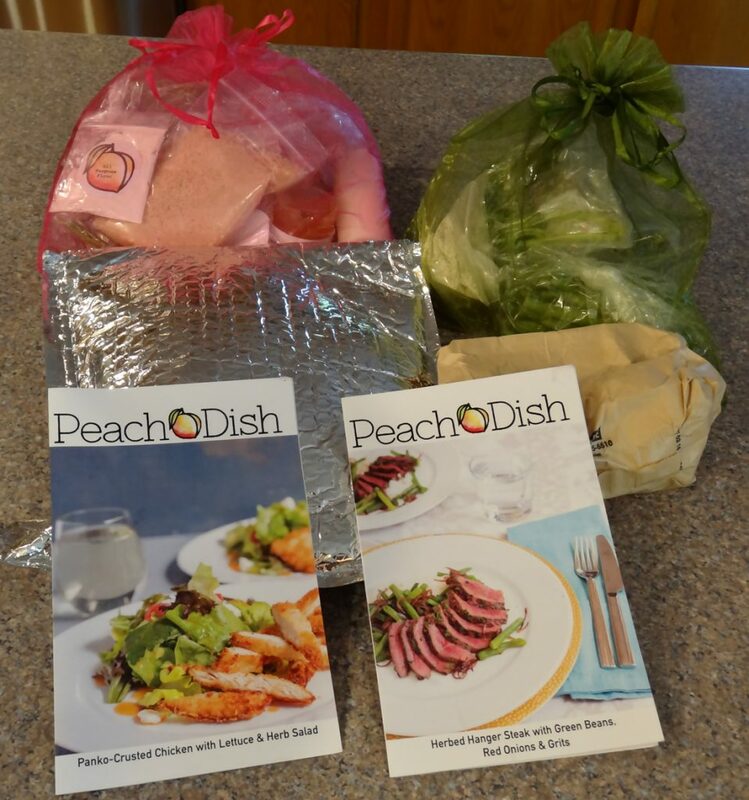 Their recipes are rooted in Southern tradition and developed by celebrated southern chefs, and while taste is extremely important to PeachDish they also have a registered dietician on staff (the first national meal kit business to do so) to ensure that customers also get the maximum health benefits from their recipes. Let’s see how things went, shall we? Grits is something, that being a Midwestern girl I have never eaten – let alone made myself. So I was excited to give this a try and potentially develop a love for something new and tasty. As far as steak goes, I love me a good steak – I could eat steak 5 nights a week – and I was really looking forward to this “herbed” version. 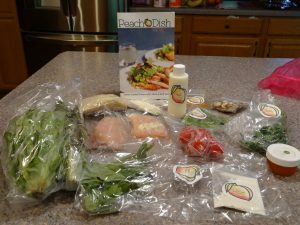 With PeachDish nothing comes ready to use – you will be cutting and rinsing lettuce, chopping herbs, and peeling and slicing onions, etc. But I was more than ok with that because it gave me a true sense of what went into the meal I was making. The recipe card stated that prep time was 10 minutes and for a home cook like myself, I’d have to say that was pretty accurate. Someone who is more familiar with using herbs on a regular basis may have spent less time, as I was intrigued by the smell and use of the herbs. The instructions and steps are laid out pretty well, and there isn’t too much going on at once. 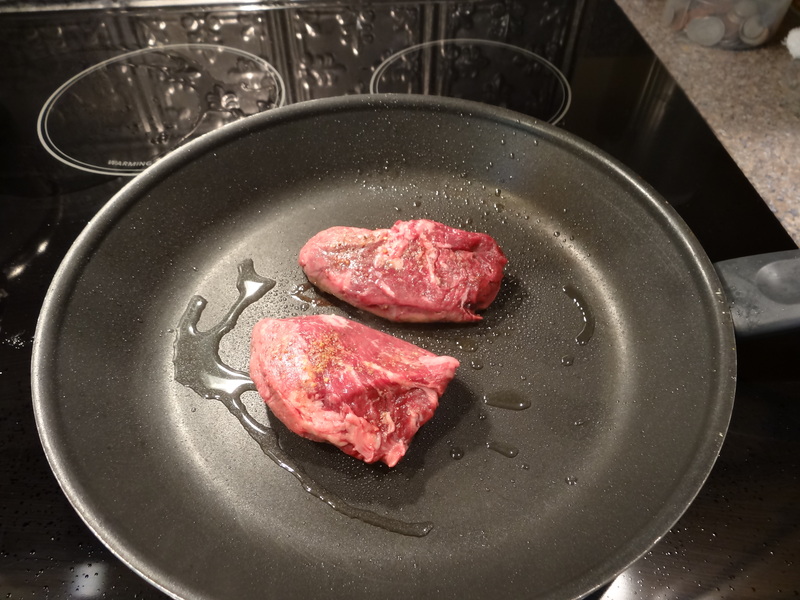 You really only have the grits cooking while you are cooking the steaks – and the steaks only take a total of 6 minutes for medium well. 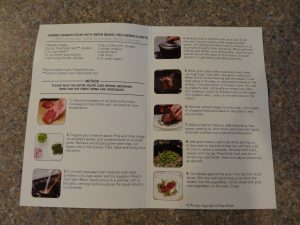 The instructions were easy to follow, however never having cooked or experienced grits before, I felt that those particular instructions could have been better – especially seeing as grits are a uniquely southern food. I am pretty sure I overcooked my grits because I assume they should be creamy and mine were sticky, dry and pasty. Other than those particular instructions being a bit lacking, everything else went well. As I mentioned, my grits definitely did not turn out like I think they should have – or if they did, I was not impressed by them. They were pasty and tasteless – they just needed “something”. We threw out much of the grits. Other than the grits, the rest of the meal was very good. The steak was full of flavor and the herbs definitely complimented the flavor profile. 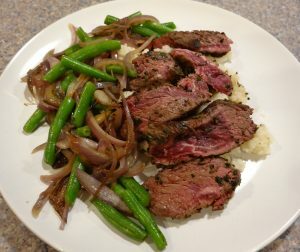 The beans and onions were a huge hit with my husband and were also very tasty. 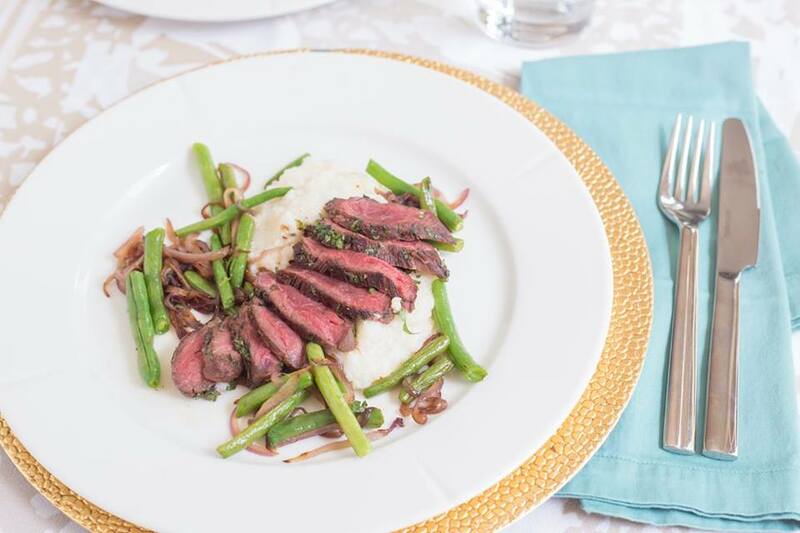 As I said I’m a big fan of steak and onions, and had I known how to cook grits correctly (at least known how the finished texture should have been), this dish would have been a huge hit! But unless they were to replace the grits with a true midwestern side, such as new baby red potatoes, I probably would not order this recipe again. 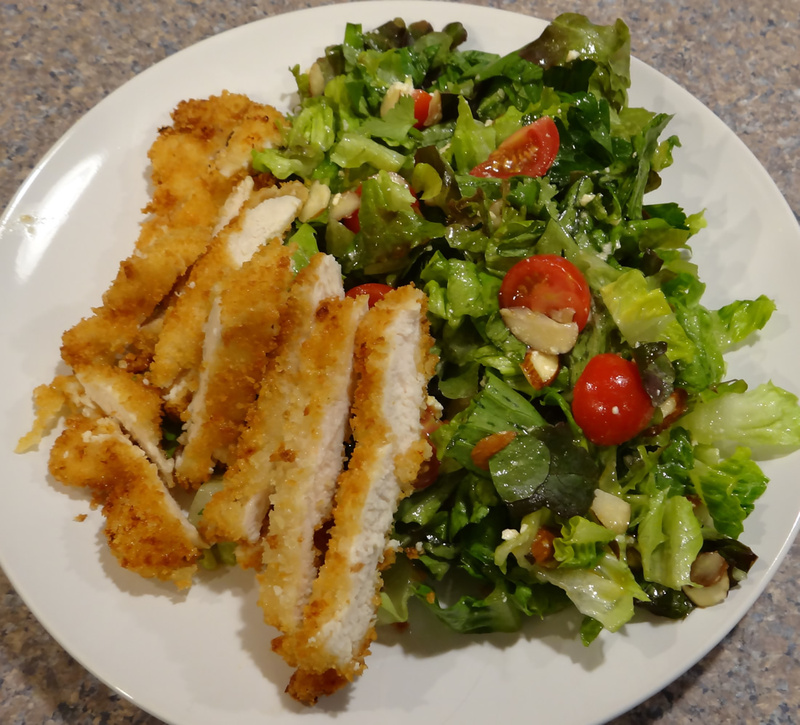 I love the combination of chicken and salad, so this recipe really appealed to me when I saw it. There is just something about a fresh salad during the summer that is just so refreshing after a winter of heavier meals. 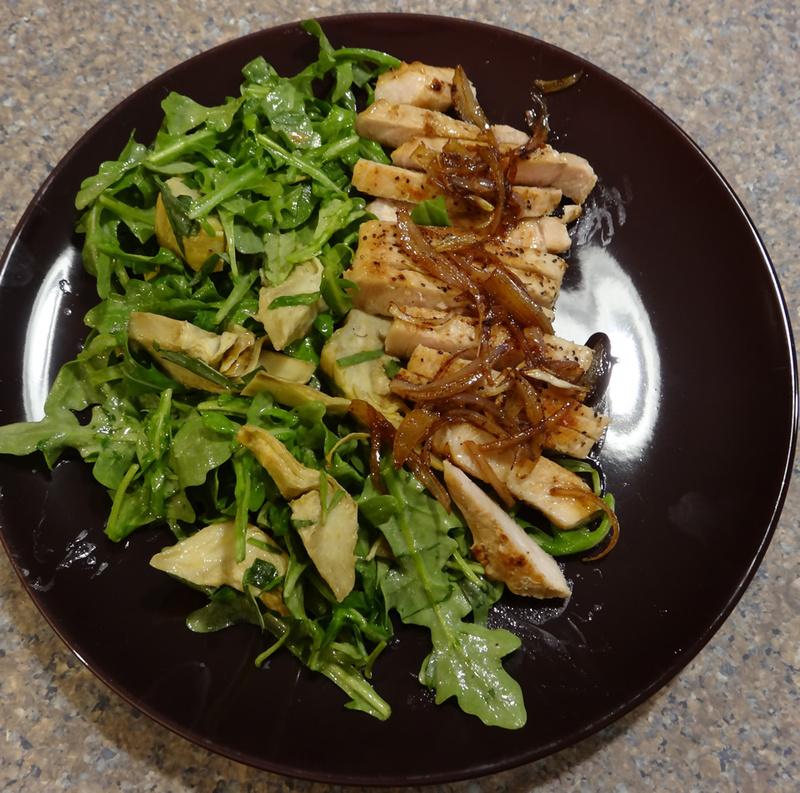 Basically the only ingredient that came already prepared and ready to use was the dressing, and I have to say that the Sweet Garlic dressing was very good! Otherwise you can expect to chop lettuce, herbs, and the tomatoes and prepare and fry the chicken. 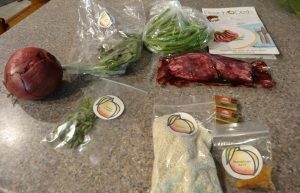 All in all this was a very easy and quick meal to prepare. They estimate that it takes 20 minutes to prepare and I would say that was probably a bit generous. Again, the instructions and steps were laid out very well and were very easy to follow. There were pictures along with the steps – which were also helpful. You never really had more than one thing going on at a time, and because the chicken is thin, the cooking time was only about 5 to 12 minutes, even if you include the time for the oil to heat up. 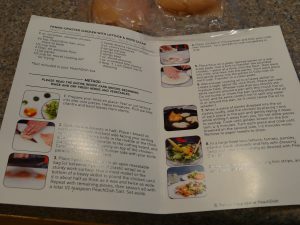 So I’m not sure where they are using 25 minutes of cook time on the recipe card – unless they are including putting it all together. It was a very easy recipe to make. 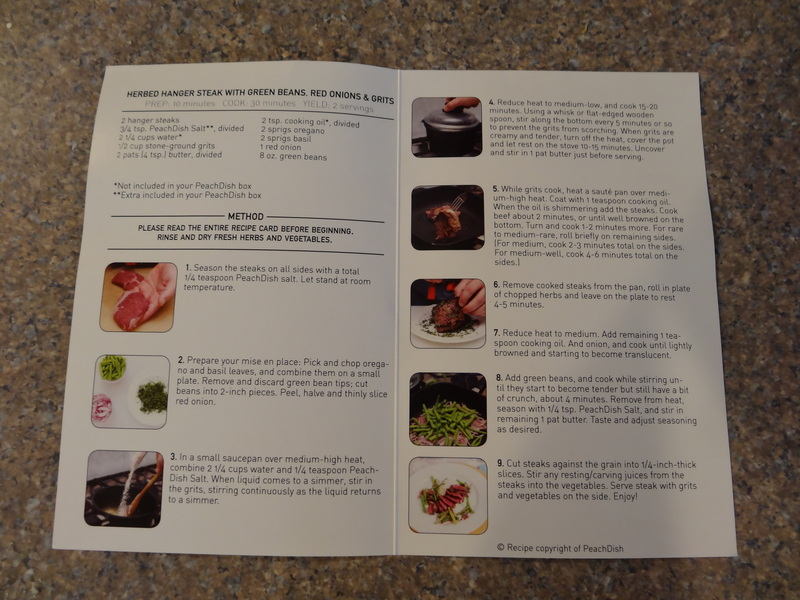 This recipe was very tasty. The only complaint that both myself and my husband had was that the basil added a bit of a bitter taste to the salad when you got a bite of it. But then again, I’m not a huge basil fan to begin with. The final product ended up looking very much like the picture on the website. The only two differences we noticed from the finished product picture on the PeachDish website, was they showed a combination of yellow and red cherry tomatoes and we only had red – not a big deal in my mind, as it didn’t affect the taste at all. The other difference was that the feta cheese was a little bigger chunks – in ours there really wasn’t that much and it kinda got lost. I would definitely order this meal again. The only thing I would change – and strictly from a personal taste standpoint – is to leave out the basil in the salad ingredients. 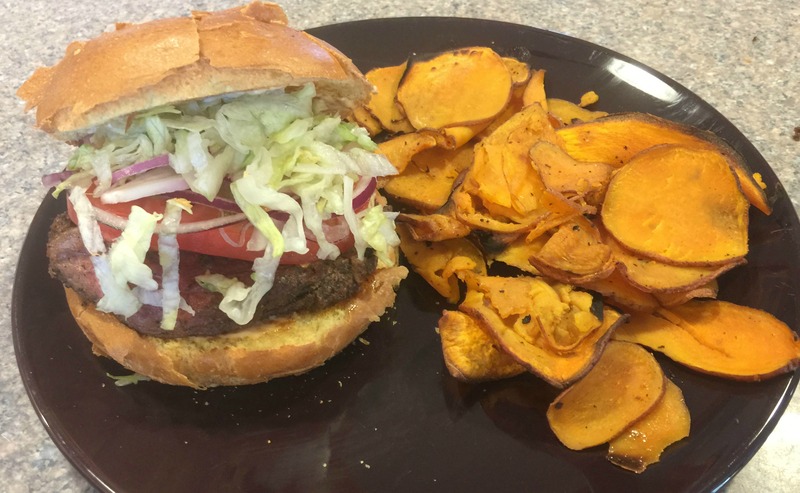 This meal was very good – full of taste and flavor – and there was plenty of it to serve two adults. 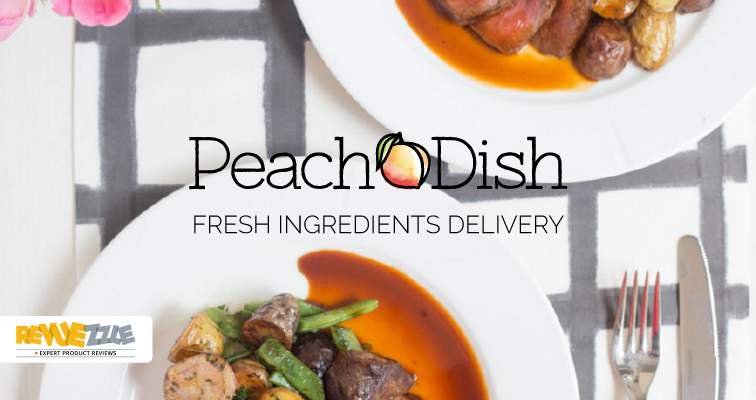 A final thought… The really neat thing about Peachdish is that you can also order desserts to go with your meals. 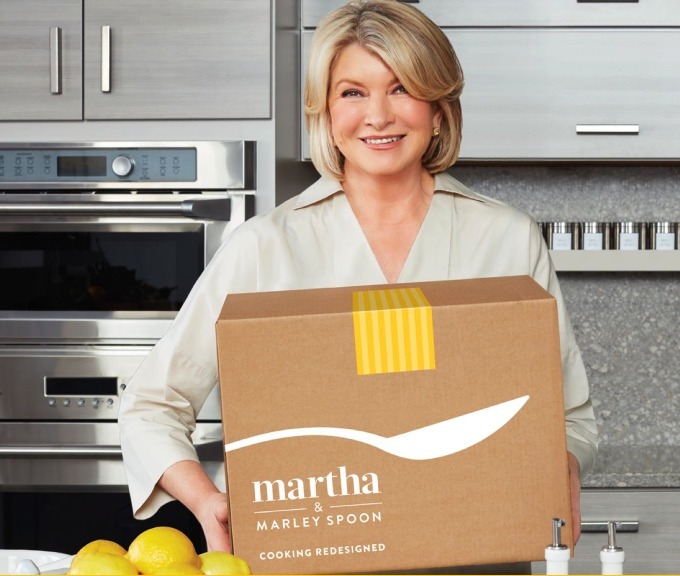 So if you are having a dinner where you’d also like to serve a dessert, you can get the ingredients and recipes to make a wonderful desert like Peach Cobbler (for 4) – YUM! You can also order other traditional southern meals separately for an additional price – things like Kevin Clark’s Comfy Chicken or Pableaux Johnson’s Red Beans & Rice. Read our full review of PeachDish on Revuezzle. Don't forget to check out all of the reviews in our meal kit delivery service category.